There seems to be more confusion when it pertains to hearing care than with most other medical specializations. We don’t need to ask, for instance, what a dentist or eye doctor can do for us. But when it comes to our hearing, we’re very often uncertain as to what we should do or which professional we should visit. So what exactly can a local hearing care professional do for you? Many things, in fact—things that could turn out making your life better and easier. Here are 6 services you should be familiar with. 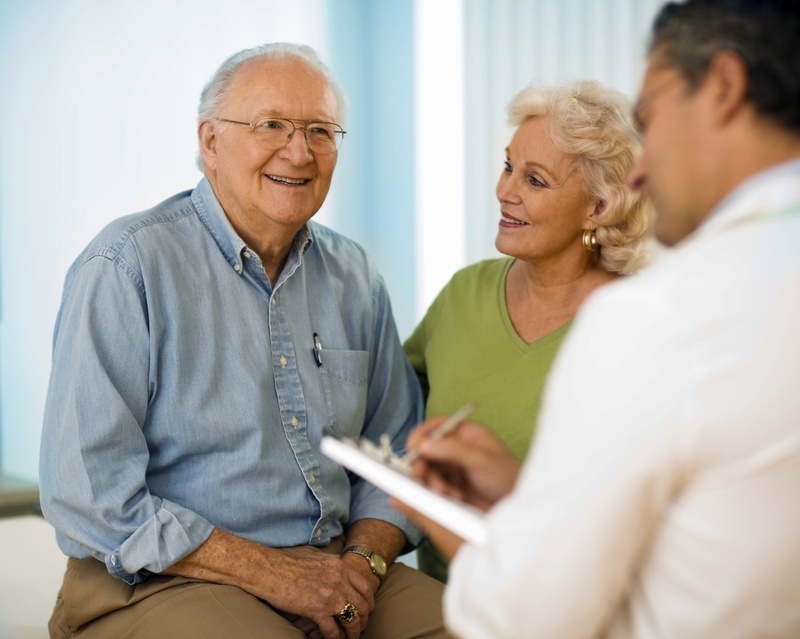 Hearing specialists are specially trained in evaluating hearing and balance. If you think you have hearing loss, balance issues, or experience ringing in the ears, the local hearing professional is the go-to expert. By conducting professional audiological evaluations, hearing specialists can adeptly establish the cause of your hearing loss or balance problems. And if your hearing loss is caused by an underlying medical problem, hearing specialists can prepare the relevant referrals. In addition, If you have continual ringing in the ears, known as tinnitus, some hearing specialists can supply focused therapies. In some instances, what is believed to be hearing loss is simply excess earwax accumulation. While it’s not the most glamorous facet of the job, hearing specialists are trained in professional ear cleaning. If this is the source of your hearing loss, you could start hearing better within a few minutes. And keep in mind, it’s never safe to insert anything, including cotton swabs, into your ear canal at home. There are several other appropriate ways you can clean your ears, such as with homemade solutions or ideally by visiting the hearing specialist. Many individuals make the error of first visiting the hearing specialist after they develop hearing loss. Don’t make the same mistake. If you work in a loud career (for instance as a musician) or take part in loud activities (such as hunting), you should invest in custom ear protection to avoid future hearing loss. You could just pick up some foam earplugs at the convenience store, but they’re usually uncomfortable and produce an annoying muffled sound. Custom earplugs fit comfortably in your ear and maintain the sounds you want to hear while protecting against the sounds that bring about damage. Hearing loss is invisible, pain-free, and at times difficult to recognize or accept. The only method to get an accurate diagnosis is with the aid of a professional hearing examination referred to as audiometry. Using state-of-the-art equipment and procedures, the hearing specialist can precisely diagnose hearing loss. After carrying out the testing, the final results are printed on a chart called an audiogram. Just like a fingerprint, everyone’s hearing loss is somewhat different, which will be visually symbolized on the audiogram. If you can benefit from hearing aids, the audiogram will serve as the blueprint to programming and personalizing the technology. Hearing aids are available in several styles, from numerous producers, equipped with numerous features. Since everyone’s hearing loss and preferences are different, this variety is necessary—but it does make things a little overwhelming when you need to make a choice. That’s where hearing specialists can help you. They’ll help you find the hearing aid that corresponds to your hearing loss while making sure that you don’t throw away cash on functions you simply don’t care about or need. Right after you find the ideal hearing aid, your hearing specialist will make use of your audiogram as the blueprint for personalization. That way, you’ll be certain that your hearing aid optimizes your hearing according to the sounds you specifically have difficulty hearing. The health of your hearing should be preserved as vigorously as any other component of your health. We have primary care physicians, dentists, and optometrists that help maintain various aspects of our health on a continuing basis. Likewise, we ought to have a specific professional looking out for the health of our hearing. Your relationship with your hearing specialist shouldn’t end following your hearing test; it should be ongoing. Hearing specialists offer a variety of valuable life-long services, including hearing aid cleaning, maintenance, troubleshooting, and repair, along with advice and guidance on the latest technology. So even though your hearing will undoubtedly change over time, your hearing specialist should not. If you agree to finding a local professional who cares about helping people above all else, you’ll enjoy the benefits of healthy hearing for life.